Lee Williamson and his wife recently made the move back to the Island from Cyprus. My wife and I had both been living in Cyprus for the past 12-15 years. Whilst we enjoyed our time out there, having our son, Conor, who had a few hospital stays, made us realise how important it was to be close to family and have a closer network. In 2017, we were visiting family for Christmas when we started looking at relocating to the Isle of Man. We’re lucky that although from Newry in Northern Ireland originally, two of my wife brothers has already taken the leap and made the Isle of Man their home about 10 years ago. I started researching local recruitment agencies and found Search and Select to be really outstanding in their customer service and how they dealt with me. In the meantime we got the fantastic news that number 2 was on its way - so that really sealed the idea that we needed family around! I think having lived in such a hot country for such a long time, you forget just how relaxing it can be to have open green fields, trees and wildlife on your doorstep. The Island is usually calm, with easy access to the countryside and plenty of outdoor activities and sports – although the TT period does get very busy with all the visitors. Our son has been able to spend so much more time outdoors here than he ever did in the intense, summer heat of Cyprus. Our work-life balance is much healthier and our pace of life has slowed down somewhat – my wife has the option not to work, too. My new commute takes just 8 minutes by car! There were great opportunities for me in terms of my work life on the Isle of Man. 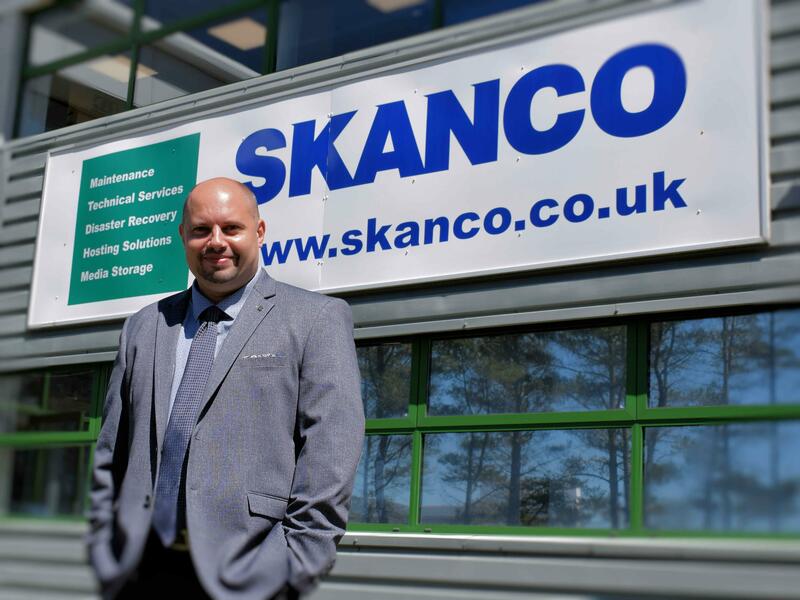 My role is Senior Technical Consultant at Skanco Business Systems and I have been in the role 2 months. I work closely with the management team to bring new cybersecurity services to new and existing customers here on the Island, having been delivering these services and speaking on the topic internationally over the past 3 years. My colleagues have been very welcoming and nothing is too much trouble for them to help out or offer advice to someone returning to the Island – whether it’s where to buy things or recommendations for the best restaurants. Most of my free time is spent with my Wife and Son as he’s not yet 2 years old. There are lots of activities for families, whether taking him on the steam train or simply playing in one of the many public play parks around the Island. We also have 4 Chihuahuas who relocated with us, so we make time to walk in the glens and hills or hike up to the top of the Island’s only mountain, Snaefell. We’ve found that people are generally very friendly and helpful in the Isle of Man – the service in shops and banks is much better than I have experienced in the past 12 years whilst abroad. We love that the countryside is only ever 5 minutes away, even when in the centre of town. The Manx cheese is also worth relocating alone – especially the Garlic and Chive flavour! The Isle of Man has given us the support of our family who are based here, and has allowed our son to spend time with his grandparents and cousins. If you are used to a big commute, you can greatly reduce your “extra” work time with your family instead of being stuck on a train or traffic jam. If you’re considering relocating to the Isle of Man with your family, I’d definitely recommend that you check out locate.im. Speak with the recruitment agencies and ensure they are familiar with the government schemes for relocation assistance. Moving to the Isle of Man is simple, straightforward and rewarding. Find out more or contact one of our team today. Klaus Christensen relocated to the Isle of Man in 2017 after deciding to move to here from Malta to expand on opportunities in e-gaming and enjoy being part of a cycling community.